© Studio Daedre. All rights reserved. 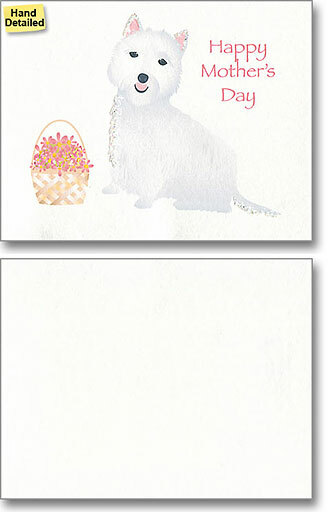 The minimal appearance of this elegant card belies the fine detail and subtle shading in the artwork. The card is hand detailed with tiny bits of glitter. Though difficult to show on a computer screen, the glitter significantly enhances the design. Daedre trained and worked as an architect, but her passion was the stationery products that she created in her spare time. Encouraged by her husband and friends, she showed her cards to museum gift shops in the Southwest, who were quite receptive. That was the beginning of Studio Daedre, now based in California. A prolific artist, Daedre has created hundreds of greeting cards. Her crisp, elegant designs have a distinctive style. The signature touch is fine glitter, delicately and precisely applied by hand using a proprietary process. She has been honored multiple times by the greeting card industry as a Louie Award Finalist. Environment: Printed on recycled paper.